In this blog post, we’ll explain what Independent Living is, what it can mean for you and how Independent Living bathrooms can help you, your friends and your family live the lives you want to lead. Independent Living is a term that is used in relation to people with restricted mobility, whether through disability or old age. Scope, one of the UK’s largest disabled charities, defines Independent Living as “having choice and control over all aspects of your life”. So, in a general sense, Independent Living means choosing where you want to live and how you spend your time, including the activities you participate in. This can include anything from work to study, and sports to leisure. There is even an Independent Living Institute, which promotes the self-determination of people with disabilities. What does Independent Living mean to you? Independent Living can be viewed as a logical first step on a sliding scale of elderly care. Assisted living would be the next step and you can find out more about the differences between Independent Living and Assisted Living in our informative blog post. Independent Living can mean the difference between leading a restricted life and leading the life you want to live, with equality and self-determination at the heart of your choices. Independent Living can help your friend or relative maintain their independence, with less reliance on you as a carer. This can, in turn, free up your own time and provide added peace of mind, especially in terms of safety and quality of life. What is an Independent Living bathroom? One way of achieving your goal of Independent Living is to make adaptations to your home environment, improving access and allowing you to do all those everyday things that many people take for granted. 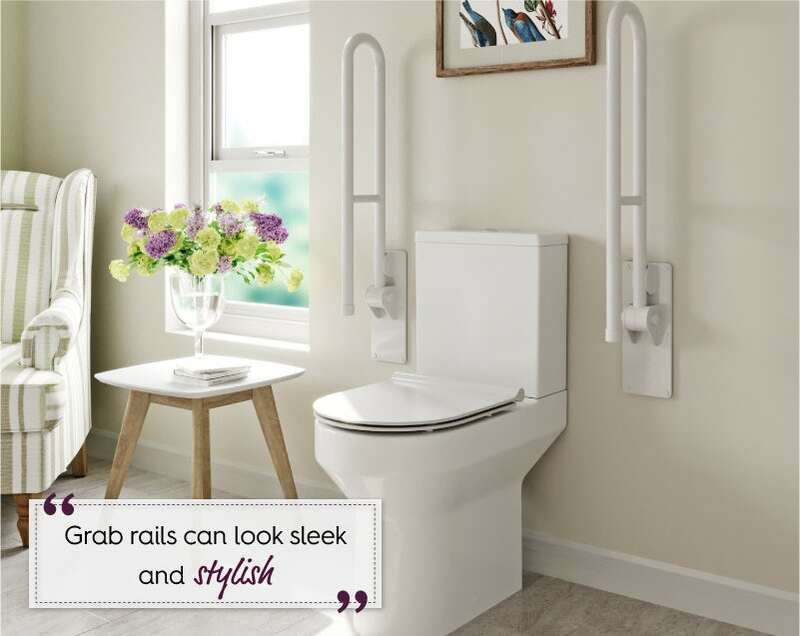 At VictoriaPlum.com, we offer a wide range of affordable independent living bathroom products, so you can create the bathroom you want without compromising on style or quality. Probably one of the easiest adaptations you can make to your bathroom, if you require a little extra assistance getting in and out of the bath, or making your way round your room. These days, your choice isn’t limited to sterile, boring designs that look like they’ve come straight out of a hospital. As you can see below, they can be sleek and stylish, blending seamlessly with the rest of your décor. Standing for long periods, especially when taking a shower, can sometimes prove difficult. So, why not take the weight off your feet with a shower seat? You can choose a number of designs, from simple stools to seats which fold neatly away, which is ideal for shared spaces. 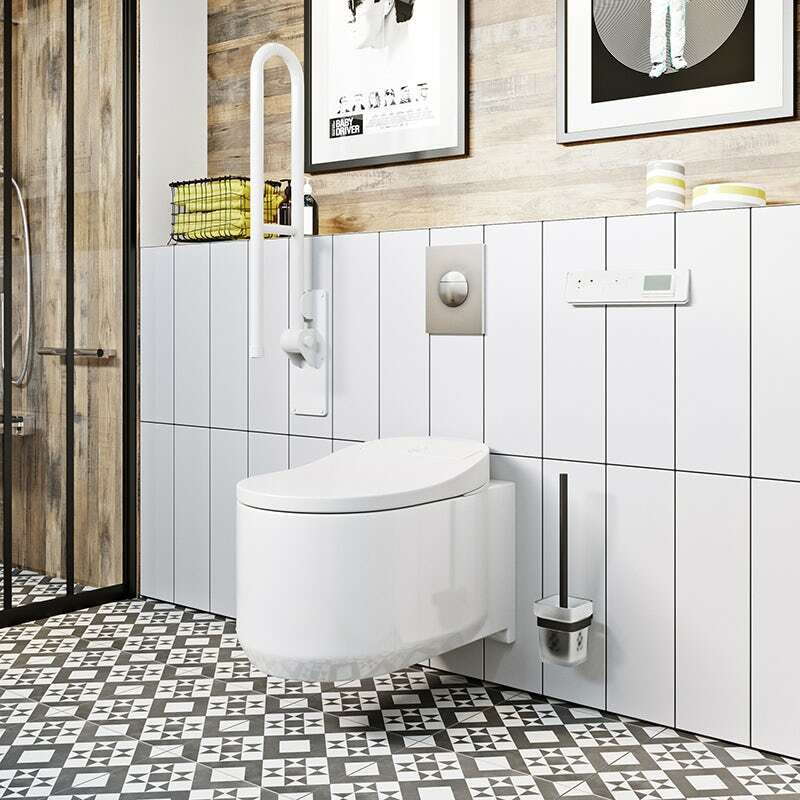 From comfort height toilets, where the seat is slightly higher than normal, to more sophisticated toilets with hygienic personal water jets and dryers, you can choose a model that suits your needs. Step-free access can be easily achieved with a shower, but what if you simply can’t be without your bath? Luckily, there are now a great range of walk in baths available from AKW. Simply step inside, fill and enjoy a nice relaxing bath. Once you’re finished, drain and step out again. Walk in baths remove all the worry and doubt that can occur when climbing in and out of a conventional bath. 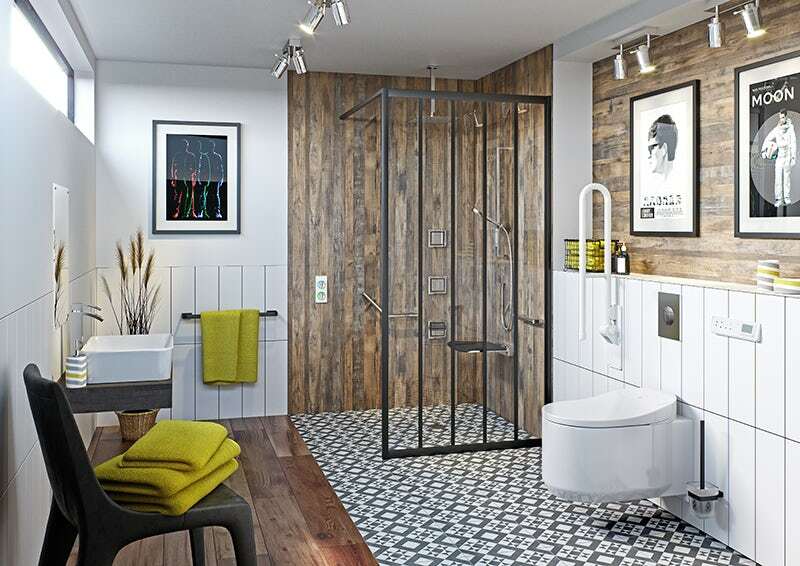 Especially accessible for wheelchair users and those with impaired vision, wet rooms come with no steps or shower trays, so trip hazards are greatly reduced. 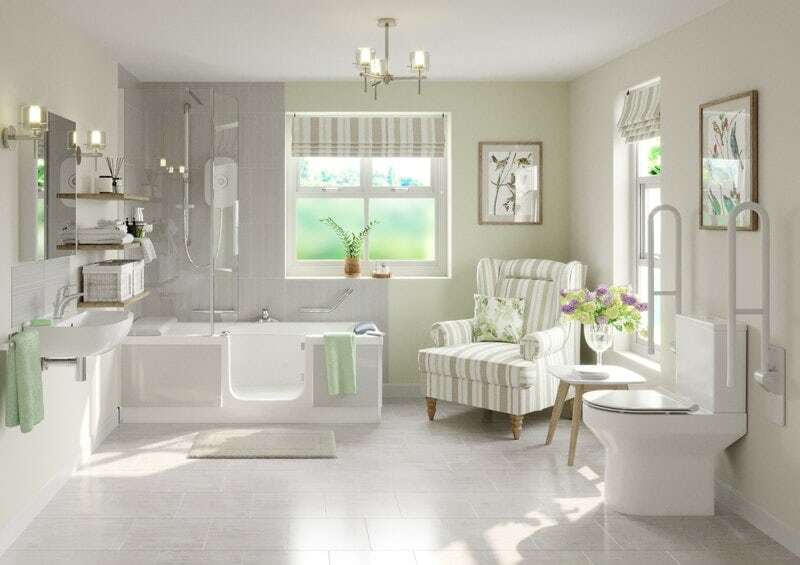 At VictoriaPlum.com, we offer full wet room kits for stylish Independent Living bathrooms. 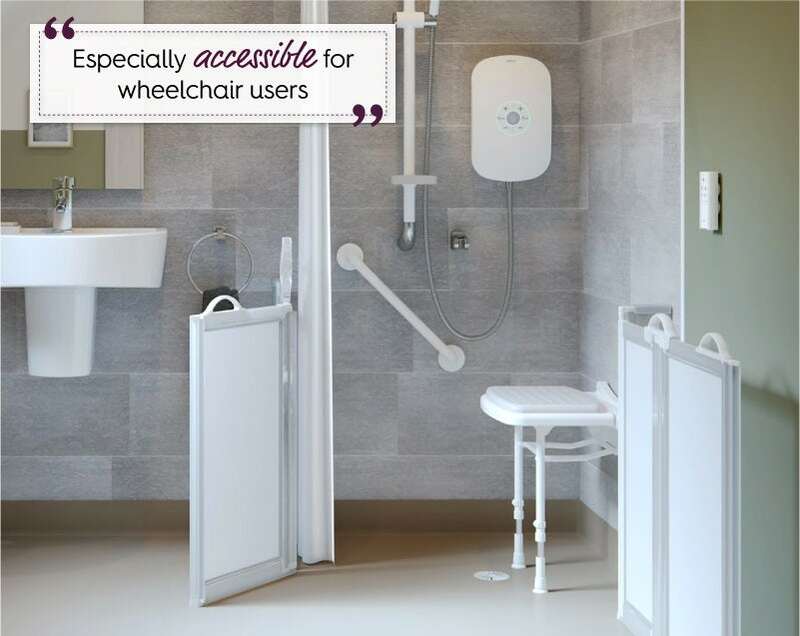 Want to find out more about accessible bathrooms for the elderly and disabled? At VictoriaPlum.com, not only will you find expert advice and information on all aspects of Independent Living, you will also discover a comprehensive selection of stylish Independent Living bathroom products at affordable prices.